Header image credit: Kevin Rheese. 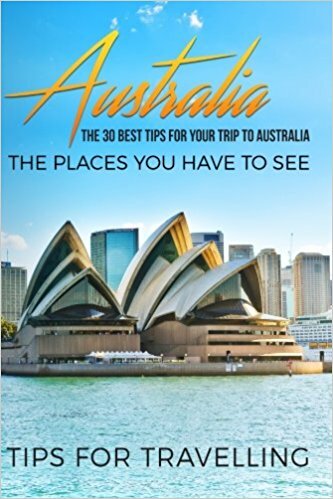 Australia is one of the world’s most remote and popular tourist destinations. This wildland forms an edging around two opposing worlds: modern and sophisticated cities and miles of mystic and indigenous land that’s left to be explored by aspiring adventurers. These days, staying entertained while traveling is easy with the aid of modern devices like your phone. Watching a movie under the stars, taking beautiful photos; it’s all possible with a few power banks and the internet. Sports enthusiasts can even place bets on the go given that sports betting is now legal everywhere in on the continent. But for those able to detach themselves from their electronics, there’s definitely something to be said for being present in the moment, and fully embracing an experience. Too often these days we end up missing out on the moment, because we’re distracted by, or attempting to live it through the screen on our phone. If you’re looking for an unforgettable and intimate dining experience, consider visiting Tali Wiru, which means ‘beautiful dune’ in the Indigenous Anangu language. It overlooks Uluru and the domes of Kata Tjuta, where you can enjoy a stunning sunset while relaxing to the sound of didgeridoo. 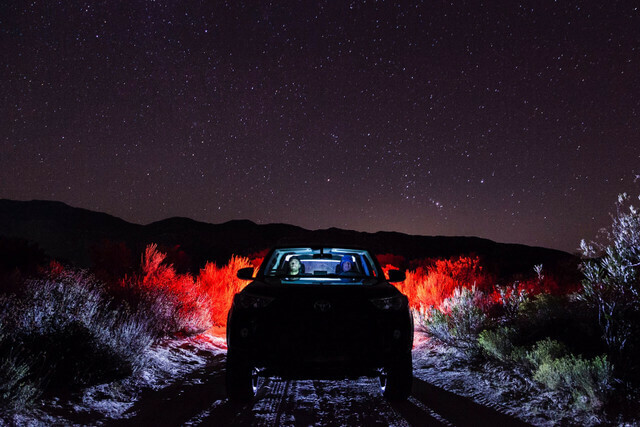 Dining under a starry Outback sky, and listening to dreamtime stories while sitting by the campfire, will keep you so entertained you won’t even be thinking about picking up your phone! Bear in mind that this experience is available only from April to October, four times a week. You can get hotel transfers from Ayers Rock Resort, 20 guests at one time, for AUD $325 per person. This extraordinary ride is 1851 miles (2979 kilometers) long and costs AUD $3,349 per person. It takes takes three days to travel from Darwin to Adelaide, and cuts straight through the center of the country, from bottom to top. This is one of the world’s greatest train journeys, though the travel time isn’t only spent riding. While you’ll encounter plenty of Outback scenery from the train cars, the journey also includes whistle-stops in Katherine and Alice Springs. From Adelaide, the scenery changes from South Australia’s rolling green hills make way for desert, the rusty Red Centre and finally the tropical splendour of the Top End. It offers unforgettable view of the mountains of the Flinders Ranges, tropics, scorched desert, Katherine Gorge, and the Red Centre. 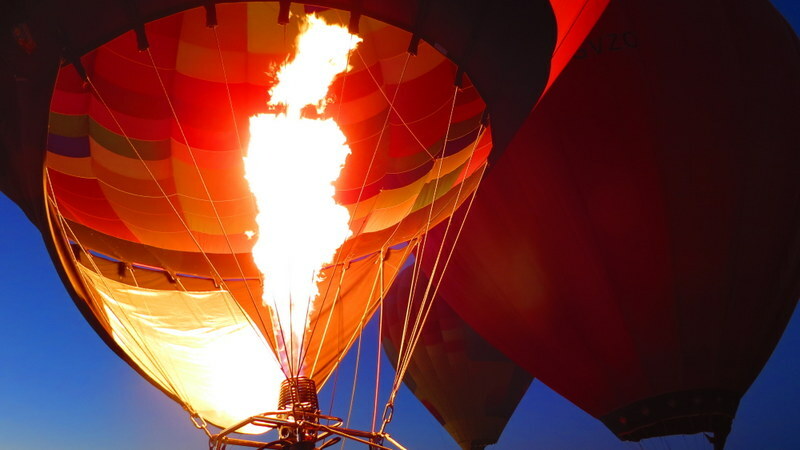 Australia’s capital is praised by most international balloonists for being one of the ideal balloon places. Its green scenery, interesting architecture, calm conditions, and many take-off and landing spots make it the perfect city for ballooning. The experience itself and the views are both unforgettable. And once you finish your trip, you can delight in champagne breakfast at the famous Park Hyatt Hotel. For Australia’s trendiest food scene, head to Hobart, Tasmania. Start at the Farm Gate Market, where you can find fresh bagels or doughnuts for breakfast. Then, proceed driving for about an hour for the best apples of your life at Willie Smith’s Apple Shed (Tasmania is the apple isle after all!). Tasmania produces an astonishing array of excellent produce, from beer and berries to pork and Pinot Noir. There are seven regional food and wine trails for road trippers looking for a taste of gourmet Tasmania, from reverently produced cheeses to its wines, beers and whiskies. 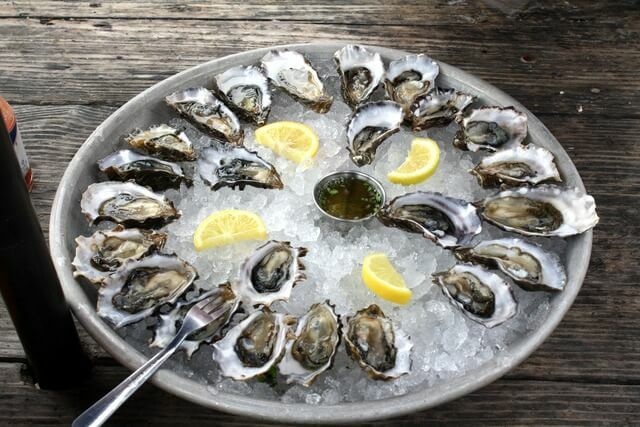 Of particular interest to foodies should be Bangor Wine & Oyster Shed, home to Tasmania’s freshest oysters. For dessert lovers, you can taste delicious Belgian chocolate near Latrobe at the House of Anvers. And if you find yourself near Richmond, don’t miss the chili camembert or the triple cream brie at Wicked Cheese. Wine connoisseurs should hit the Tamar Valley in the north, where you’ll find some of the the oldest vineyards in Australia. It is the perfect setting to try a glass of Pinot Noir which is the State’s signature wine variety. You’ll be so busy eating and drinking you won’t even think to stop to take photos on your phone! Melbourne’s inner city is full of colorful laneways with plenty of delightful and charming bars. This place is not only great for strolling, but also for enjoying great local drinks and foods, all in the company of friendly people. One of the bars that really stands out is the modern and award-winning Eau de Vie, which offers the best Smoky Rob Roy cocktail. Shebeen, Lily Blacks, and Bar Americano are other great places you can check out. But there’s no drinking and texting here – enjoy the night out, and fully soak up the atmosphere by leaving your phone alone! Lord Howe Island is situated in the Tasman Sea, and is one of the world’s greenest and most beautiful nature spots. This small island is one of Australia’s 19 UNESCO World Heritage Sites, and can hold up to 400 visitors at any one time (they limit tourism, so if you want to visit make sure you book in advance). 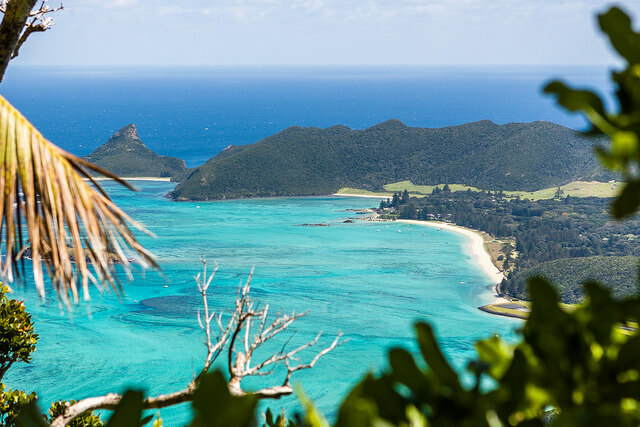 But why is Lord Howe Island so special? Namely, a whopping 75 percent of its unique natural vegetation is unspoiled and intact. In other words, by hiking, surfing, or hand feeding fish here, you can enjoy the island’s remarkable nature, coral, geology, and rare plants, birds, and marine life. Iconic species include endemics such as the flightless Lord Howe Woodhen (Gallirallis sylvestris), once regarded as one of the rarest birds in the world, and the Lord Howe Island Phasmid (Dryococelus australis), the world’s largest stick insect that was feared extinct until its rediscovery on Balls Pyramid. So, it’s definitely worth being one of the 400! If you happen to be in Melbourne and have the urge to take a scenic road trip, drive along the amazing Great Ocean Road. This is one of Australia’s most iconic scenic drives, but it’s more than just a road. It’s the experience of a lifetime! 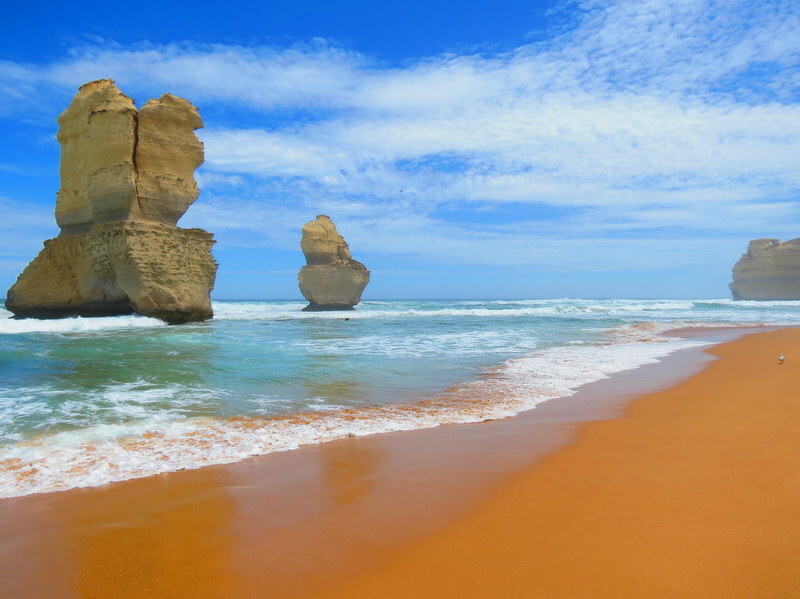 Driving the Great Ocean Road is a fantastic way to experience Australia’s most beautiful coastline, and enjoy stops at stunning beaches, fish & chips by the sea, walking among towering sandstone bluffs, and hiking through eucalypt forests to find koalas in their natural environment. 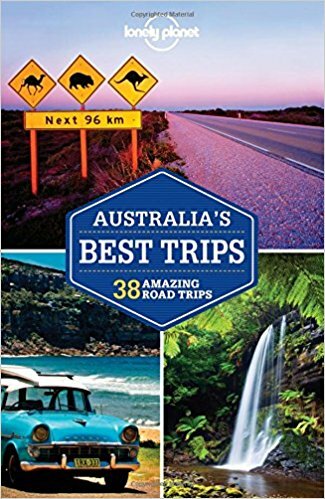 Most visitors driving the Great Ocean Road start from Melbourne, which is 95 kilometers away from Torquay, the first coastal town, and your access point to the start of the Great Ocean Road. This is the official start of the Great Ocean Road, and also the gateway to Victoria’s surf coast. Though perhaps the most iconic site that travelers head here to see are the stunning rock formations known as the 12 Apostles. Aside from the Apostles, make sure you visit the Otway National Park, and walk through beautiful waterfalls and forests. Wrap up your trip by watching the whales at Warrnambool. Did you know that one of the largest rainforests in the world is located in Australia. It’s called the Wet Tropics World Heritage Area and covers 2.2 million acre (900,000 hectare) full with greatest variety of plant and animal life. You would think you were in the middle of the Amazon with the sheer diversity of life in Daintree National Park. Massive Southern Cassowary birds roam like prehistoric dinosaurs, and saltwater crocodiles lurk in the Daintree River. Spot platypus, echidnas, tree kangaroos, vibrant Ulysses butterflies, snakes, and plants straight out of Jurassic Park. Going on a Back Country Bliss Adventures river drift-snorkeling tour is a great way to explore this rainforest and see its beauty. You will drift down the Mossman River in crystal clear waters and spot fish and turtles. 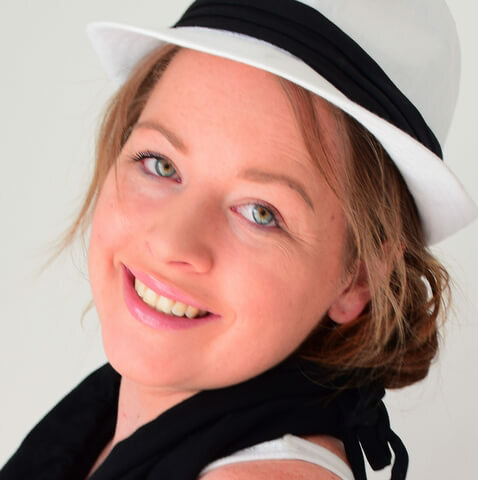 The cost is AUD $99 for adults with supplied equipment and no previous experience needed. The Mossman Gorge Centre also offers visitors authentic North Queensland Aboriginal experiences from the traditional landowners of the region, the Kuku Yalanji people. The Pinnacles Desert and its hundreds of ancient limestone formations are situated 155 miles (250 kilometers) north of Perth, on the Turquoise Coast. One of Australia’s most incredible natural wonders, these pillars resemble some kind of extraterrestrial tombstones. 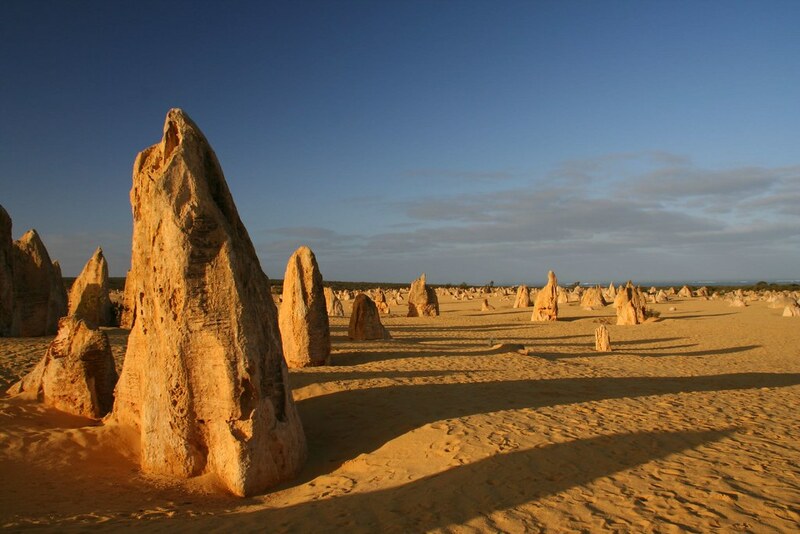 The Nambung Pinnacles in Cervantes are thousands of rock spires which stand in the middle of the golden sand desert. These magnificent limestone structures rise as tall as three and a half metres, each with their own unique character. Some appear jagged, some smooth, and others sharp edged; all in various shapes, sizes and distortions. Emus stroll freely through Nambung National Park, offering visitors and tourists alike the opportunity for wild wildlife encounters. The day trip from Perth into the heart of the desert is well worth the journey, but remember to pack plenty of water. This is only for those with a bit more courage. Yet, it’s totally worth trying since it is one of a kind adventure to tell your family and friends. Diving together with Great white sharks, even protected in a strengthened cage, is one of the most thrilling experiences you can have. Try the one day tours by Calypso Star Charters or Adventure Bay Charters to Neptune Island, 43 miles (70 kilometers) from Port Lincoln, and dive in. You don’t have to worry about your scuba diving experience, because it isn’t necessary. Bookings must be made in advance, and the experience includes a full day out at sea – while there’s only a metal cage protecting you from a set of fairly epic jaws, do note that this activity has a 100% non fatality rate. Chilling out under the stars sounds awesome Meg. But those pinnacles look inspired too. Note; I think you goaded me to see the pinnacles south of Wellington, about a 2 hour ride from our current stop in NZ. Out of this world type formation, right? Amazing list. Gotta see Oz within the next year or 2. Glad you enjoyed the post Ryan! And awesome that you had the chance to check out the pinnacles in NZ – nature is incredible isn’t it! Australia has some incredible opportunities :) Hope you have the chance to travel soon! We’ve done diving with Great White Sharks in South Africa, though I have heard that the experience at port Lincoln is even more intense. I’m also looking forward to swimming with whale sharks off Ningaloo Reef at some point, though don’t think I will be able to include them both in the same trip. Great list! Climbing the Sydney Harbor Bridge should be on this list! I’m persnoally looking foroward to scuba diving the great barrier reef at some point in my life. I will hopefully make it to Australia before I die. So shark diving. Cool. I’ve seen photos of diving with crocodiles though. Where’s that? 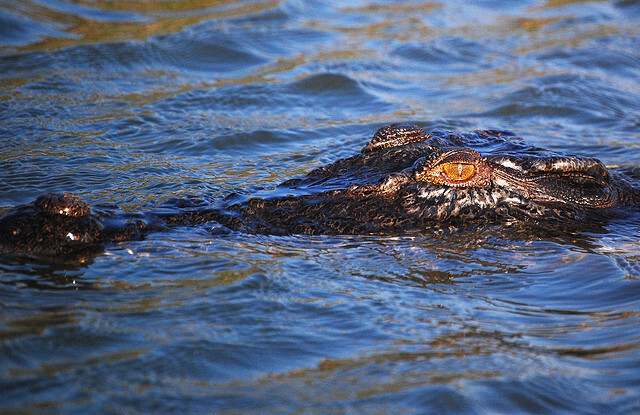 Absolutely – Crocosaurus Cove in Darwin sends you down with them – it looks pretty crazy! You missed the southern lights :) It’s definitely worth attempting to time your visit to Australia to align with Tasmania’s Southern Lights (September). I would give anything to visit Australia. It’s the dream trip. I’m sending this to a friend that is going to live there for a year. Everything looks so fun and amazing. How about kangaroo fighting, have seen some videos of people getting punched by them and that could be interesting. Haha kangaroo fighting is not an organized event, but you can definitely catch it in the wild every now and then. They’re fierce when they get angry at one another!! Adventurous and the same time interesting bucket list…I am surely gonna try every activity that you have mentioned at least once in my life. Keep sharing and keep inspiring!! These are killer recommendations, Meg! 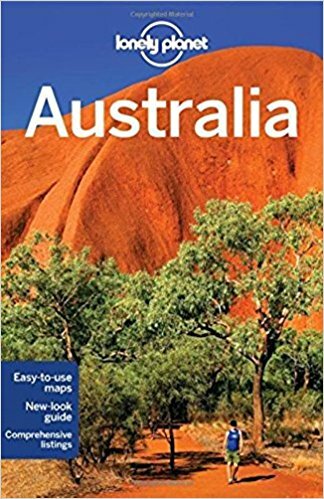 We are leaving for Australia (my first visit) early next year. I can’t even express how pumped I am and how excited your post made me! We are spending most of our time on the east coast, but sounds like I need to plan another visit and conquer the west. There’s just so much to see! Thanks Andrea! 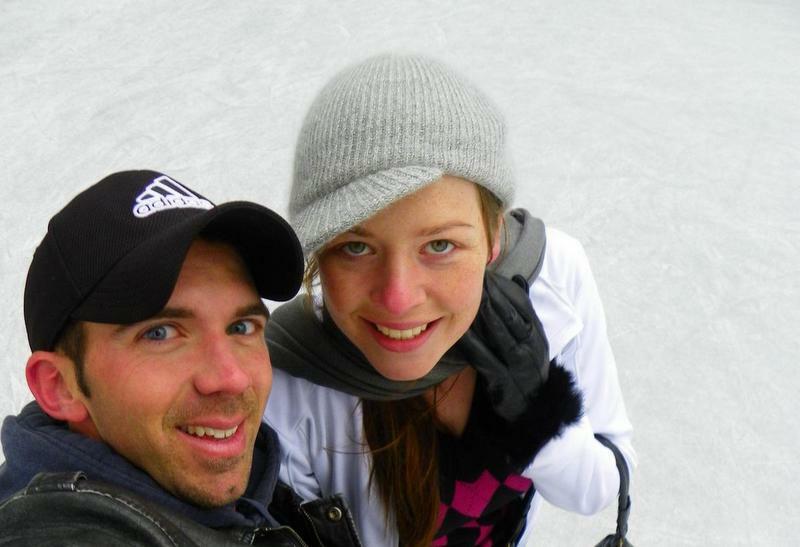 I hope you have an amazing time in Australia, and yes, if you have some time definitely plan for some adventures out west. Happy travels!